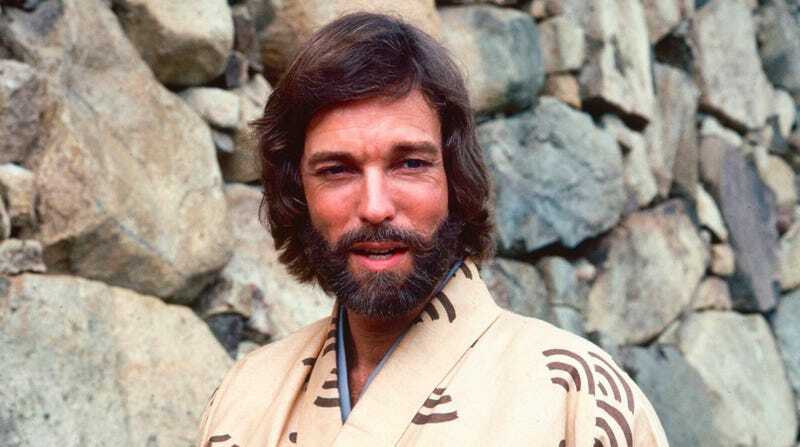 First up: FX has announced that it’s making a limited series TV version of James Clavell’s Shogun—long voted as the Book Most Likely To Make A Dad Look Wistfully Off Into The Distance And Then Murmur “Shogun. Great book.” Per Deadline, the series is being developed by Ronan Bennett, Rachel Bennette, and director Tim Van Patten, and has been ordered for a 10-episode season (a.k.a. a fleet 100 pages or so per episode). NBC previously adapted Clavell’s beloved doorstopper as a miniseries in 1980, with Richard Chamberlain in the starring role. Variety reports that Ava DuVernay is continuing to line up a top-notch cast for her Central Park Five series at Netflix. Niecy Nash, Aunjanue Ellis, Kylie Bunbury, Marsha Stephanie Blake, and DuVernay’s Wrinkle In Time star, Storm Reid, have all signed on for the project in supporting roles. Michael K. Williams, Vera Farmiga, John Leguizamo, Felicity Huffman, Jharrel Jerome, and Jovan Adepo were all previously announced. Here’s an odd little treat for classic comedy fans: Slashfilm has our first look at John C. Reilly and Steve Coogan in costume for their upcoming Laurel and Hardy biopic Stan & Ollie. The make-up work is honestly, eerily good; you can still tell its Reilly and Coogan, but it takes a second for their recognizable features to peek through. The film is being produced by BBC Films, and will chronicle the tail end of the two men’s careers and comedic partnership. And if your visual tastes run a little more toward “alien space monster” than “classic pratfalls,” well, we’ve still got you covered: Here’s the latest poster for Shane Black’s The Predator, showing off some cool thermal vision graphics, some nasty looking blades, and also the absolutely massive forehead this latest breed of Predator is apparently rocking. Denying us the chance to make any more weird Minecraft/It’s Always Sunny In Philadelphia header images on the company dime, Rob McElhenney has announced that he’s no longer directing a feature version of the popular block-busting game. The Wrap confirmed McElhenney’s departure from the cubist project earlier this week, with Warner Bros. commissioning a new writer-director team to come up with a fresh Minecraft movie script. Finally, Sony’s ongoing efforts to get this whole “Spider-Man-free Spider-Man franchise” thing off the ground continue to be going on; fresh off the reveal of the latest Venom trailer, IGN reports that the company is pursuing plans for a film based around classic Spidey villain Kraven The Hunter. In the Marvel comics, Kraven is the ultimate big game hunter, but it’s not clear who he’d be hunting in a world notably absent of his favorite web-swinging prey.